If you are having problems here look for buttons at the bottom of this page. Get 5 Pressed Pennies every month. I know sometimes life gets in the way of getting your press on. What if you could get 5 pressed pennies shipped to your door every month. Well, you can. Starting at just $5 month or get 2 months for free by paying yearly. Shipping is free. 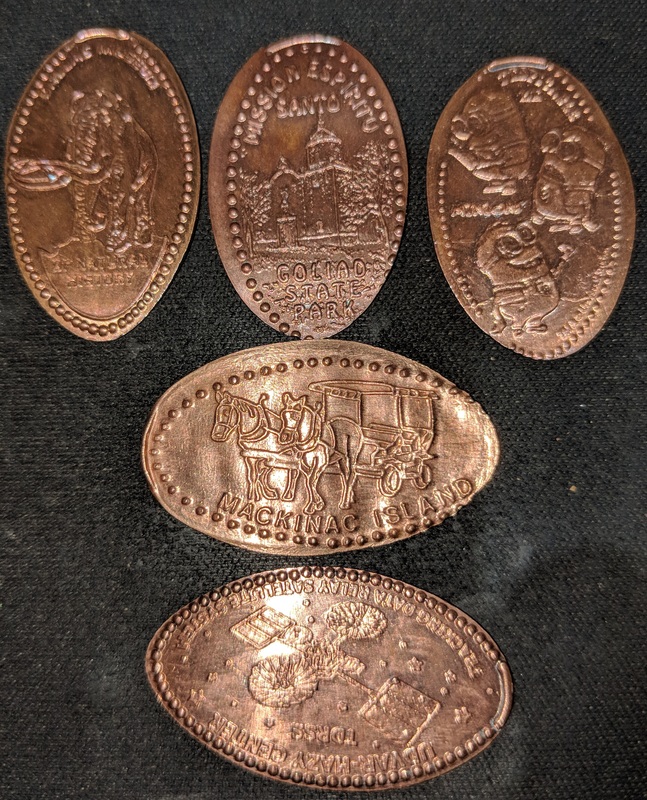 5 Grade A pennies copper or zinc (copper only is an option) and a letter telling you where each penny is from. Do I get to pick what pennies? No, you do not but that what keeps a surprise. You will always get a Grade A pennies. If you are having problems with the dropdown menu for pricing us the buttons below.